In the three years since the release of her New York Times best-selling debut “Everything I Never Told You,” Celeste Ng has been thinking a lot about growing up. Her next novel, “Little Fires Everywhere,” scheduled for release Sept. 12, touches on the subject, following multiple families in Shaker Heights, Ohio, a master-planned suburb of Cleveland and Ng’s hometown. The book, which takes place in the ‘90s, focuses on a clash between families — one that’s been in Shaker Heights for generations, the other new to the town — after a custody battle over an adopted Chinese-American baby has the neighborhood on opposing sides. Born to Chinese immigrants from Hong Kong, Ng was an early reader and remembers being raised with classic British literary works like “The Secret Garden,” “Peter Pan,” and “The Chronicles of Narnia” series. Her interests shifted once she left Shaker Heights to attend Harvard University, where she majored in English. Diaspora and culture became recurring themes in the books she consumed, and she enrolled in classes on Indian-American literature and studied Mandarin for a year. After graduating, Ng landed a job in publishing at Houghton Mifflin in Boston, where she worked in the textbooks division. Though she’d written short stories as a child and took several creative writing classes in college, literature was never something she thought she could turn into a career. The child of a NASA physicist and a chemist who taught and researched at Cleveland State University, Ng saw writing as something she would do in her spare time. It wasn’t until a favorite professor encouraged her to apply for graduate school that she would pursue writing full-time. Ng was accepted to the University of Michigan’s creative writing graduate program, where she wrote short stories and essays that would later appear in publications including the New York Times Magazine and the Alaska Quarterly Review. It was at the University of Michigan that Ng penned the first few chapters of what would become “Everything I Never Told You.” She spent the next six years writing, producing four different drafts before selling the book to Penguin Press in 2012. In “Everything I Never Told You” the Lee children are multiracial and their life experiences vary greatly from those of their Chinese father and white mother. Ng’s family is also multiracial — she is ethnically Chinese and her husband is white. Together, they have a son. 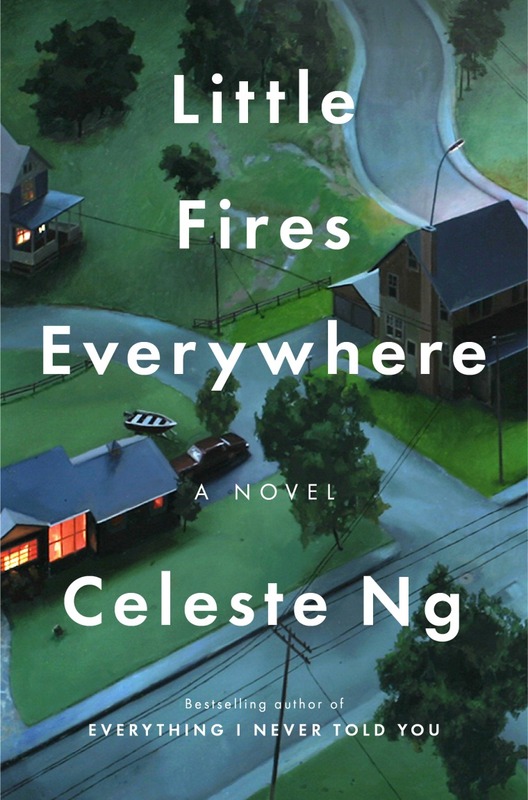 In “Little Fires Everywhere,” a court battle erupts when a white family attempts to adopt a Chinese-American child. Though the novel is set more than 20 years in the past, Ng hopes the characters and their decisions will push her readers to reflect on their beliefs.